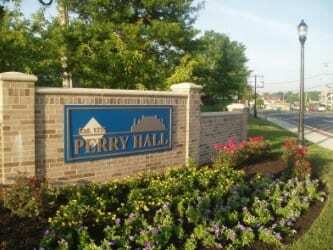 Councilman David Marks announced on Monday that the county will hold a community meeting to discuss the final stages of the stream restoration project in the lower Seven Courts Drive area of Perry Hall. The meeting is scheduled for 6 p.m. on Monday, November 21, 2016, at the Perry Hall public library (9685 Honeygo Boulevard). Baltimore County will be restoring approximately 5,000 linear feet of degraded stream and habitat from Naygall Road to India Avenue along a tributary of the Lower Gunpowder River. The tributary cross Seven Courts Drive behind The Festival at Perry Hall Shopping Center. Nearly all of the work will occur on county or community association property. Residents can contact the Department of Environmental Protection and Sustainability at (410) 887-2904 with any questions.